the rule, then what is the rule? Albert Ayler (July 13, 1936 – November 1970) was an American avant-garde jazz saxophonist, singer and composer. 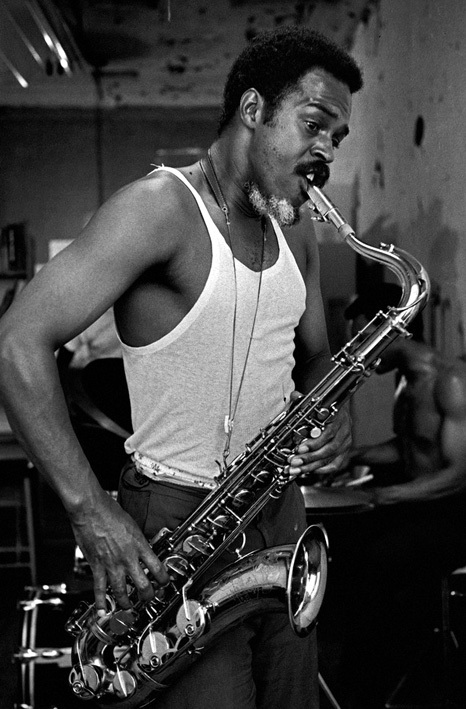 Albert Ayler was the most primal of the free jazz musicians of the 1960s; John Litweiler wrote that “never before or since has there been such naked aggression in jazz” He possessed a deep blistering tone—achieved by using the stiffest plastic reeds he could find on his tenor saxophone—and a broad, pathos-filled vibrato that came right out of church music. His trio and quartet records of 1964, like Spiritual Unity and The Hilversum Session, show him advancing the improvisational notions of John Coltrane and Ornette Coleman into abstract realms where timbre, not harmony and melody, are the music’s backbone. His ecstatic music of 1965 and 1966, like “Spirits Rejoice” and “Truth is Marching In” has been compared by critics to the sound of a Salvation Army brass band, and involved simple, march-like themes which alternated with wild group improvisations and took jazz back to its pre-Louis Armstrong roots. In 1952, at the age of 16, Ayler began playing bar-walking, honking, R&B-style tenor with blues singer and harmonica player Little Walter, spending two summer vacations with Walter’s band. After graduating from high school, Ayler joined the United States Army, where he jammed with other enlisted musicians, including tenor saxophonist Stanley Turrentine. He also played in the regiment band. In 1959 he was stationed in France, where he was further exposed to the martial music that would be a core influence on his later work. After his discharge from the army, Ayler kicked around Los Angeles and Cleveland trying to find work, but his increasingly iconoclastic playing, which had moved away from traditional harmony, was not welcomed by traditionalists. He relocated to Sweden in 1962 where his recording career began, leading Swedish and Danish groups on radio sessions, and jamming as an unpaid member of Cecil Taylor’s band in the winter of 1962-1963. (Long-rumored tapes of Ayler performing with Taylor’s group have finally surfaced as part of a ten-CD set released in late 2004 by Revenant Records.The album My Name is Albert Ayler is a session of standards recorded for a Copenhagen radio station with local musicians including Niels-Henning Ørsted Pedersen and drummer Ronnie Gardiner, with Ayler playing tenor and soprano on tracks like “Summertime”. Ayler returned to the US and settled in New York assembling an influential trio with double bassist Gary Peacock and drummer Sunny Murray, recording his breakthrough album Spiritual Unity, for ESP-Disk Records, 30 minutes of intense free improvisation. Embraced by New York jazz leaders like Eric Dolphy, who reportedly called him the best player he’d ever seen, Ayler found respect and an audience. He influenced the gestating new generation of jazz players, as well as veterans like John Coltrane. In 1964 he toured Europe, with the trio augmented with trumpeter Don Cherry, recorded and released as The Hilversum Session. Ayler’s trio created a definitive free jazz sound. Murray rarely if ever laid down a steady, rhythmic pulse, and Ayler’s solos were downright pentecostal. But the trio was still recognizably in the jazz tradition. Ayler’s next series of groups, with trumpeter brother Donald, were a radical departure. Beginning with the album Bells, a live concert at New York Town Hall with Donald Ayler, Charles Tyler, Lewis Worrell and Sunny Murray, Ayler turned to performances that were chains of marching band- or mariachi-style themes alternating with overblowing and multiphonic freely improvised group solos, a wild and unique sound that took jazz back to its pre-Louis Armstrong roots of collective improvisation. The new sound was consolidated in the studio album Spirits Rejoice recorded by the same group at Judson Hall in New York. Ayler, in a 1970 interview, calls his later styles “energy music,” contrasting with the “space bebop” played by Coltrane and initially by Ayler himself. This approach continued with The Village Concerts and with Ayler on the books ESP had established itself as a leading label for free jazz. In 1966 Ayler was signed to Impulse Records at the urging of John Coltrane, the label’s star attraction at that time. But even on Impulse Ayler’s radically different music never found a sizable audience. In 1967, Coltrane died. Ayler was one of several musicians to perform at Coltrane’s funeral. An amateur recording of this performance exists, but is of very low quality. Later in 1967, Albert’s brother Donald Ayler had what he termed a nervous breakdown. 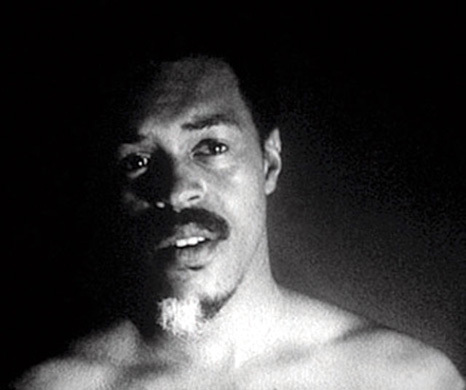 In a letter to The Cricket, a Newark, New Jersey music magazine edited by Amiri Baraka and Larry Neal, Albert reported that he had seen a strange object in the sky and come to believe that he and his brother “had the right seal of God almighty in our forehead.” Although it is reasonable to assume the Aylers had explored or were exploring psychedelic drugs like LSD, there is no evidence this significantly influenced their mental stability. For the next two and half years Ayler turned to recording music not too far removed from rock and roll, often with utopian, hippie lyrics provided by his live-in girlfriend Mary Maria Parks. Ayler drew on his very early career, incorporating doses of R&B, with funky, electric rhythm sections and extra horns (including Scottish highland bagpipe) on some songs. 1967’s Love Cry was a step in this direction, studio recordings of Ayler concert staples such as “Ghosts” and “Bells” with less free-improv and more time spent on the themes. Next came the R&B album New Grass, which was generally reviled by his fans, who considered it to be the worst of his work. Following its commercial failure, Ayler unsuccessfully attempted to bridge his earlier “space bebop” recordings and the sound of New Grass on his last studio album Music Is The Healing Force Of The Universe, featuring rock musicians such as Henry Vestine of Canned Heat alongside jazz-men like pianist Bobby Few. In July 1970 Ayler returned to the free jazz idiom for a group of shows in France but the band he was able to assemble (Cal Cobb, bassist Steve Tintweiss and drummer Alan Blairman), was amateurish and, apart from Cobb, not nearly of the caliber of his earlier groups. Ayler remains something of a cult artist. “Ghosts”—with its bouncy, sing-song melody (rather reminiscent of a nursery rhyme)—is probably his best known tune, and is something of a free jazz standard, having been covered by Lester Bowie, Gary Windo, Eugene Chadbourne, Joe McPhee, John Tchicai and Ken Vandermark, among others. The saxophonist Mars Williams led a group called Witches and Devils, which was not only named after an Ayler song, but which covered several of his songs. Peter Brötzmann’s “Die Like A Dog Quartet” is a group loosely dedicated to Ayler. A record called Little Birds Have Fast Hearts references Ayler’s youthful nickname. In 2005, guitarist Marc Ribot (who has occasionally performed Ayler’s songs for some years) released an album dedicated to the ethic of collective improvisation, entitled Spiritual Unity in honor of Ayler’s 1964 album of the same name. On his 1969 album Folkjokeopus, English guitarist/singer-songwriter Roy Harper, dedicated the song “One for All” (“One for Al“) to Albert Ayler “who I knew and loved during my time in Copenhagen”. Harper considered Ayler to be “one of the leading jazzmen of the age”. In the Folkejokeopus liner notes Harper states, “In many ways he (Ayler) was the king”. The bassist Jair-Rohm Parker Wells produced “Meditations on Albert Ayler” with Tony Bianco on drums and Luther Thomas on alto sax. This live trio improvisation was produced for and released by Ayler Records on Ayler’s 71st birthday. In 2005, the Swedish filmmaker Kasper Collin released a documentary film about Ayler’s life called My Name Is Albert Ayler.The film includes detailed interviews with Ayler’s father Edward and brother Donald, as well as the only live concert footage of Ayler known to exist (of concerts in Sweden and France). absolutely haunting! “spirits” hungers to be heard! the ghosts are released! it’s like the ghost of billy the kid meets the ghost of little walter meets the ghost of john coltrane! “ayler was one of several musicians to play at coltrane’s funeral!” that is purely poetry supreme! as is “spirits.” to listen to “spirits” is to be immediately mesmerized!